I'm Andy Rudalevige-- professor of government at Bowdoin College. Welcome back to beautiful Brunswick, Maine, to Druckenmiller Hall, and to Founding Principles. Last time, we looked at voting behavior. There are ways to participate in the political process outside the voting booth at every level of government. Is that participation open and fair? Does everyone have an equal voice? Some worry special interests are in charge, even though the American system is designed to defeat what James Madison called "mischiefs of faction." Have factions made a comeback? Let's find out. As we saw last time, plenty of people don't vote. Lots of people do. In the 2012 presidential election, 129 million people cast a ballot in November. More than 20 million took part in primary elections and caucuses, not to mention those who voted in state and local races. Voting is a blunt act. A simple signal that doesn't convey a specific set of instructions about which part of a candidate's policy platform you support. Did you vote for X because she was for a certain education policy, she voted against a tax bill you opposed, or you really didn't like the other candidate? You might know the answer, but the winning candidate does not. It might be you really care about health care issues and not trade policy. Your vote choice might have been a slam dunk or 51% to 49% flip a coin, lesser of two evils decision. Candidates believe if you voted for them, you love them and everything they promised they would do. Once elected, they talk a lot about having a mandate for their entire agenda. In 1992, Bill Clinton said he had a mandate for national health care reform. He received just 43% of the popular vote in a three-way race. It wasn't clear he had a mandate for anything. In 1994, just two years later, Clinton's party was trounced in the midterms. The leader of the winning party in that election-- Speaker of the House Newt Gingrich-- said he had a mandate to be the anti-Clinton. He overreached as well with an ambitious array of initiatives the public turned out not to like very much. In 1996, Clinton was reelected. By 1998, Gingrich had lost most of his majority and was forced out of office. So we can't stop with just the vote. 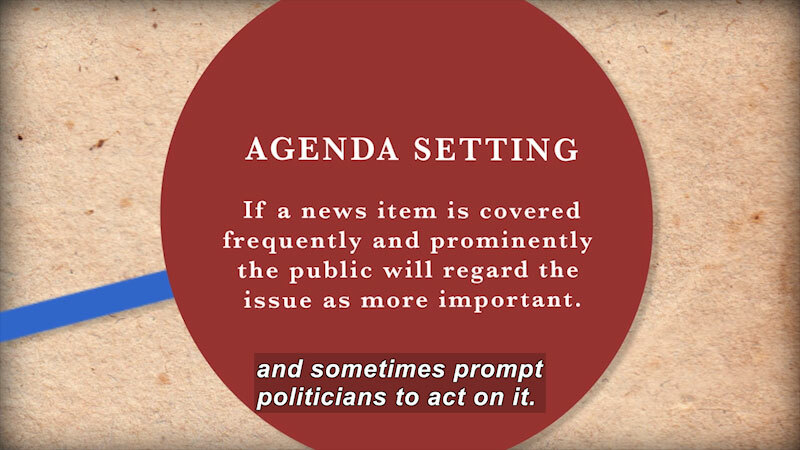 ...as a way of communicating with political actors. This might start with a campaign-- working for a candidate or donating money. It doesn't end there. Donors don't always get what they want in terms of policy. They almost always get a chance to communicate with political officials about what they want. Anyone can be in contact with elected officials. Those connections count too. Letters, phone calls, turning out at district meetings, showing up on Capitol Hill-- these points of contact are influential. As one magisterial study of political participation found... Keep in mind that each form of participation does have costs. To be involved takes time. It might take money. It might take certain skills-- writing, speaking, or organizing a group or a meeting. So again, as with voting, resources matter. That same study found 71% of people claimed they had recently voted, about 1/3 had contacted a public official, 1/4 or more were active in some sort of civic organization. Fewer said they attended a local board meeting, shown up at a political protest, or worked on a campaign. The rates of participation in these activities-- that is taking part in public life in ways other than voting-- tend to be higher in the U.S. than in other countries. 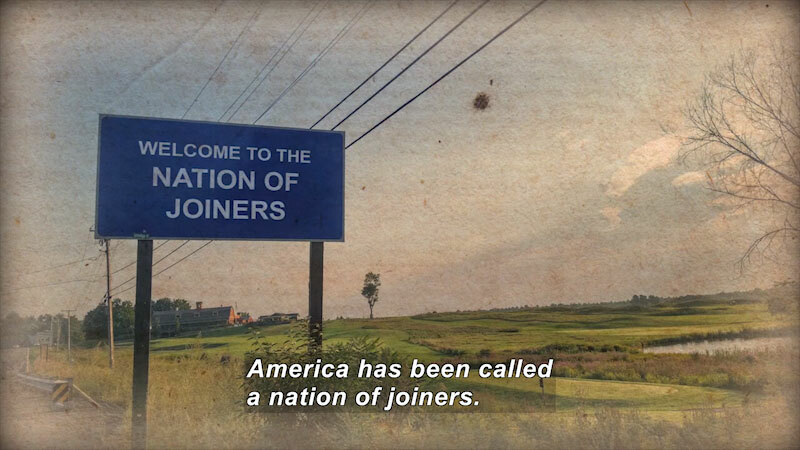 America has been called a nation of joiners. As Alexis de Tocqueville put it... Americans join. They join churches, synagogues, temples, mosques. They join political parties, and they join interest groups. Now this started early. Tocqueville was writing in the 1830s. At that point, there were already very many local groups. Sometimes they were organized in coalitions around national issues-- for example, favoring slavery or pressing for its abolition. Either way, they made their voices heard. As future president James Buchanan complained in the 1840s... Buchanan would have been alarmed to see the rise in such groups later on. After the Civil War, with national industrialization, business groups sprang up to support or oppose early versions of globalization. Fraternal organizations like the Elks and Eagles got going. The NAACP and the KKK appeared on opposite sides of the battle for racial equality. Groups representing charitable impulses, demographic identity, and economic interests all came into being. In the 1960s, the so-called third wave of groups started to get rolling. The civil rights movement inspired a host of public interest groups, but single-issue organizations devoted to very specialized industry lobbies or specific social questions also emerged, as did political action committees--PACs. Some observers think the current era is marked by yet another wave spurred on by technology. More on that in a minute. There are at least four times as many interest groups in Washington as there were in the 1950s-- from perhaps 6,500 then to 25,000 or more now. We don't have an exact count of lobbyists. Some put it at 100,000. We know the number of lawyers in D.C. went from 12,000 in 1972 to more than 80,000 35 years later--sevenfold increase. Tocqueville was right... One lobbyist said a couple of years back... We talk a lot about special interests. We worry they might undermine the public good. That's a concern that goes back to the framing. James Madison described the problem and how the new American nation would solve it in one of his most famous essays, Federalist Number 10. Madison starts by talking about the mischiefs of faction. A faction for Madison was... The problem was he said... Unless you take away their liberty entirely, people with common concerns will always band together to protect their interests. 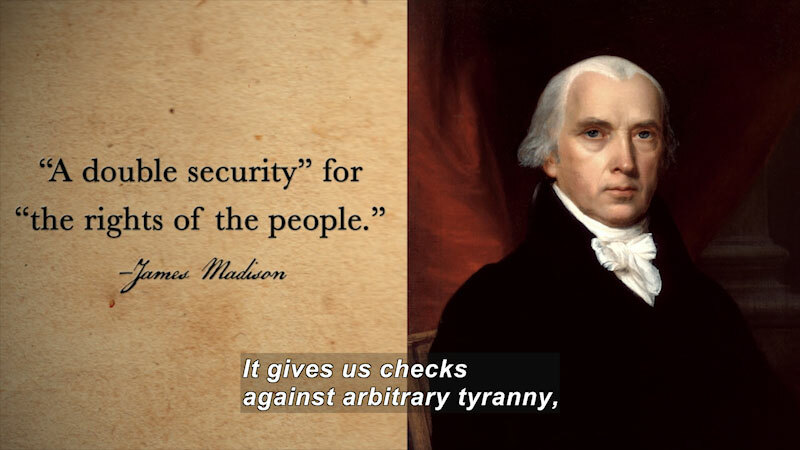 But if you can't stop factions from forming, except by tyranny, Madison thought you could at least stop them from tyrannizing others. He broke his argument down this way. You could either have a minority faction or one that comprised a majority of the population. If the faction was in the minority, the public interest is safe. Other members of the democracy would vote it down. If it might make up a majority, we need additional protection built into the structure of government. That takes on two forms. First, we need to have representative democracy rather than pure majority rule. Group interests should be funneled through an elected representative with the standing and judgment to resist selfish demands. 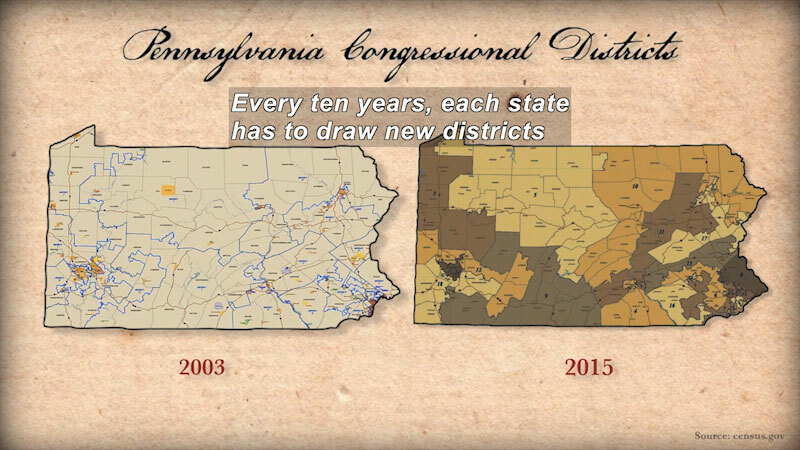 Second, we should make sure that both that representative's district and the country as a whole have a large, diverse population. ...undermining any potential oppressive majority. Districts would have all sorts of people, diluting factions they might like to form. Across district lines, people would find it harder to get together in a big country. There might be crazy people in Georgia and New Hampshire, but they would never manage to join forces. 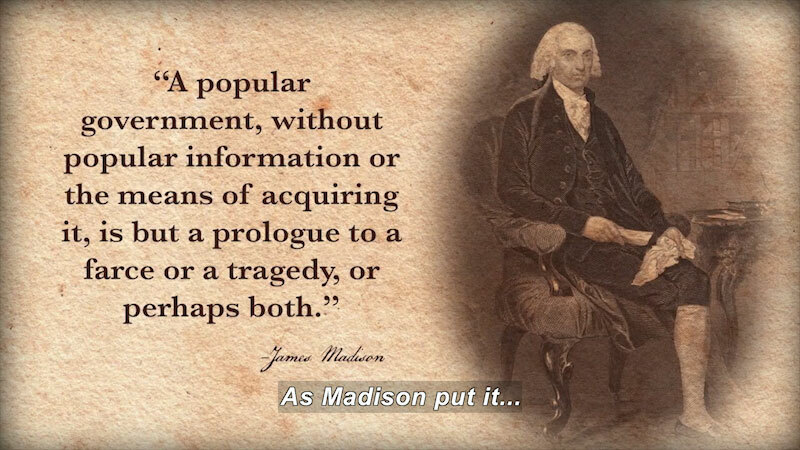 Madison concluded a republic is better than a pure democracy, and a large republic is better than a small republic. 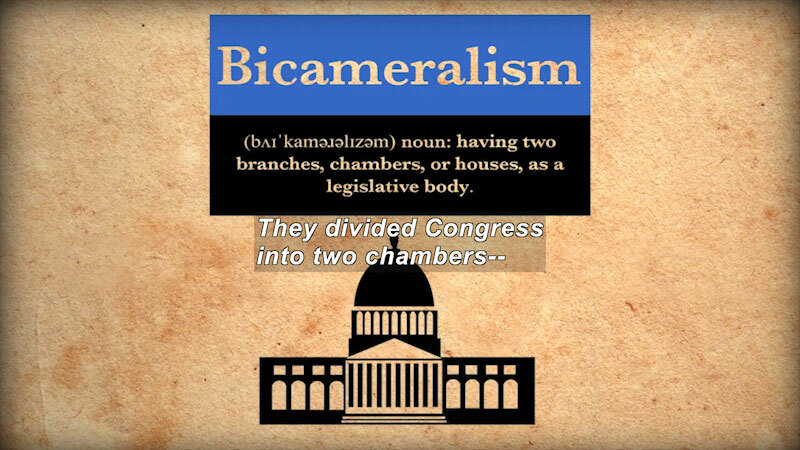 This corresponds to the United States and the system of government set up by the Constitution. It was a strong argument against political theorists who argued a country as large as the new U.S.A. would never hold together without a single monarch to rule by fiat. The system aims to force minority factions to form ever-shifting coalitions with each other to build majorities. The result is not minority rule, but as political scientist Robert Dahl once quipped, minorities rule. This is often called pluralism. Excellent news, right? Still, it's not the end of the story. Madison was a very smart guy, but he didn't foresee the rise of the telephone, computer, the Internet--all those things that allow those distant crazies and those not so crazy-- to find like-minded people and organize themselves over large distances almost instantaneously. Further, not all factions are created equal. Some find it easier to organize than others. Those that find it easiest are where money is at stake, if they're able to get it together, which means private interests rather than public. As a result, one political scientist suggested that... Finally, we might wonder whether Madison was right to so quickly dismiss the threat posed by minority factions. There are veto points in the American system. Interest groups are good at taking advantage of them, stopping things from happening, even if they can't be proactive. Clogging governmental arteries carries its own risks for the health of the common good. In short, defeating the mischiefs of faction takes not just a republic, but a citizenry committed to preserving its virtues. It requires all of us to participate in politics and policy and polity in an informed way to make sure, in Madison's words, that we provide a republican remedy for the diseases most incident to republican government. 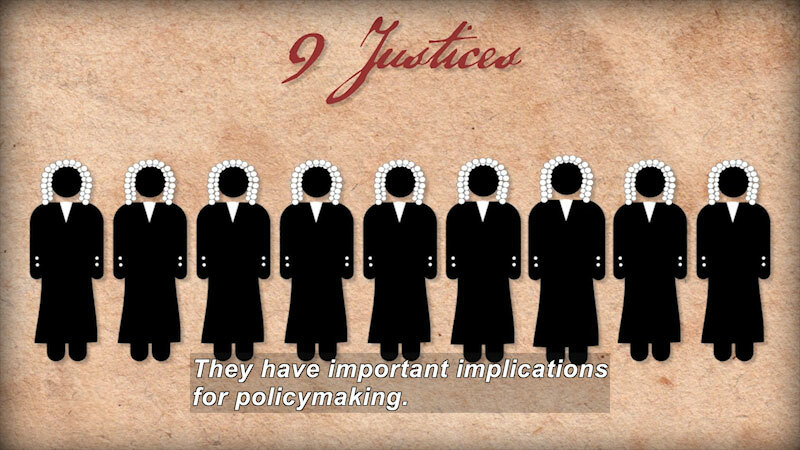 We've looked at the structure of the government set up by the Constitution and at the public and its role. It's time to bring them together. How do parts of government interact with each other and the public? How are laws passed and implemented? How are civil rights and liberties established and maintained? 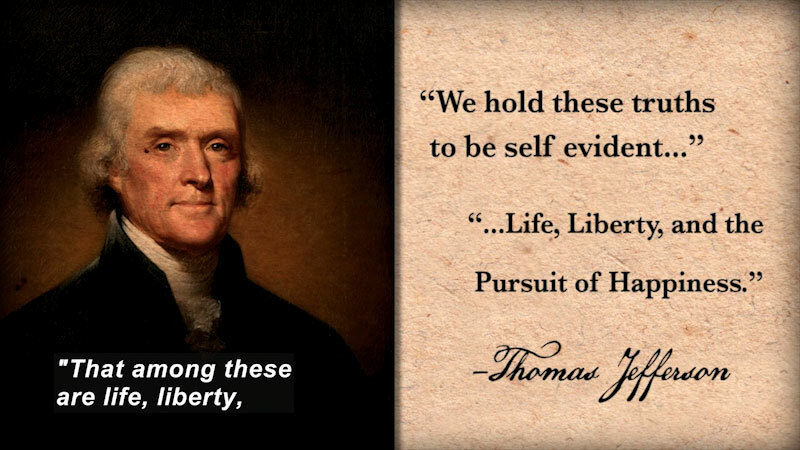 We'll find that the answers, as ever, start with our founding principles. 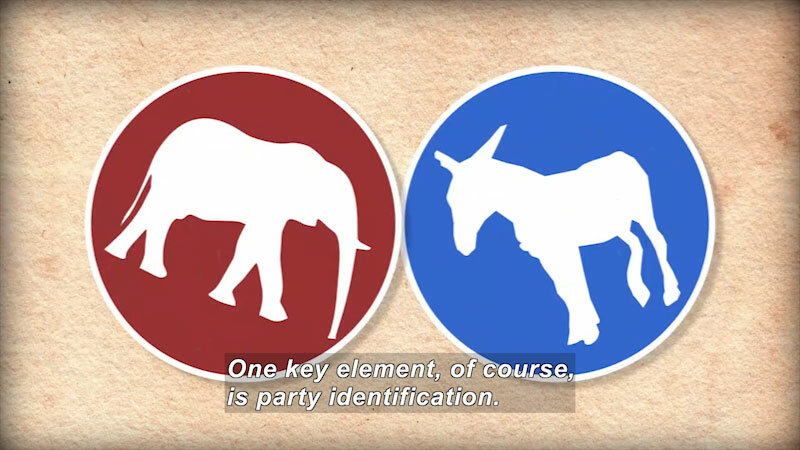 In this episode, Dr. Andrew Rudalevige explores the wide spectrum of political participation. Through a study of foundational documents like the Federalist papers, students learn about the various ways to participate in government beyond running for office and voting in an election. This episode covers political mandates, factions, pluralism, lobbyists, and political action committees. 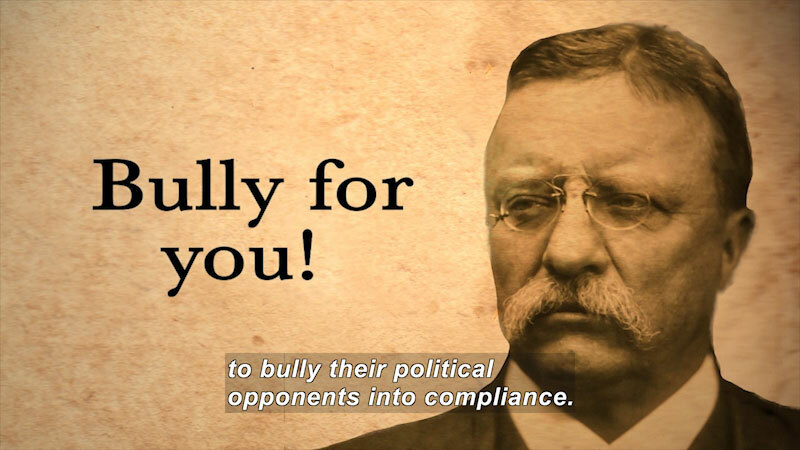 Part of the "Founding Principles: American Governance in Theory and Action" series.